The 23W Shop Light provides 2400 Lumens at 4000K Daylight White, effectively reduce the amount on your annual electric bill. 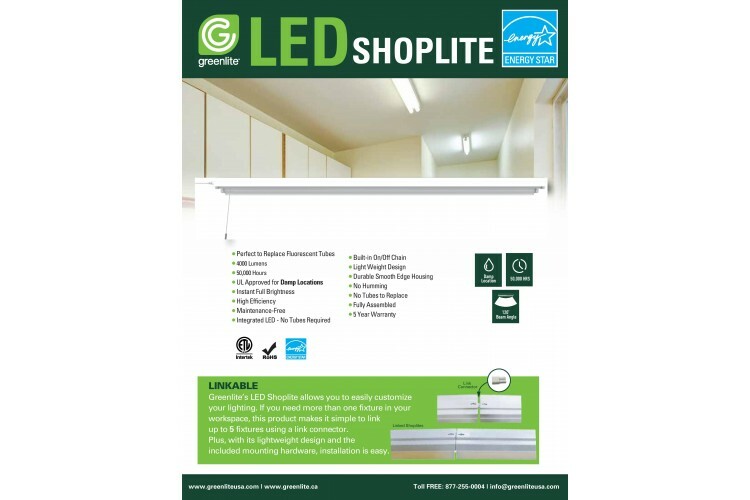 4000K natural white light, which offers the best lighting experience for task and general area lighting. a way beyond than described. very easy install and a lot of light for the money. Amazing shop light. highly recommended.